Enter your name and address and I will send you a free download. Plus, I’ll send you weekly motivation and support for your journey. I took FPU with my fiancé. It is so great to be on the same page financially before getting married. We often ask each other – what would Julie say? before we make bigger financial decisions. She is a savvy and super knowledgeable coach with a big heart and a lot of patience. Julie, you are a fantastic coach/mentor for our Women’s Tapping Circle. Your heart is in the right place and you made me feel like a queen. Thank you so much. Julie has been an excellent guide in helping me tap through struggles I have been dealing with. One I had recently was a dreaded visit to the dentist that I had been putting off for two years. After working with Julie and focusing on clearing the fear, the visit was much more calming and not scary. In fact, it was such a sense of relief. Thank you, Julie, for your help and guidance through this! 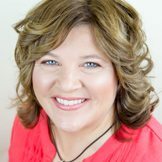 Julie is truly a gifted EFT Practitioner. Before my first Tapping session with Julie, I was experiencing a lot of anxiety over money. With Julie’s guidance, Tapping helped me to identify where my beliefs came from. By acknowledging this, I was then able to release those beliefs and develop a healthier relationship with money. Since my Tapping session with Julie, I have told friends about my experience, and how it has positively affected my relationship with money. I admire your intuition and insight. You really tune in. That’s why I love working with you. I’m grateful I was able to clear stuff out. I feel lighter and more hopeful. I had the great opportunity to work with Julie and I had never experienced tapping with a coach before. She was wonderful. I felt very comfortable with her. She guided the session and I was able to work through some challenges in a very methodical way. After I felt lighter, calmer, clearer. It was great. Having Julie as your coach, she will help take things to that next level that we seldom can do on our own. After 23 years of having back pain around my monthly cycle, 20 minutes of tapping on money has cured that problem for the last 5 months! A happy Julie Jacky tapper! 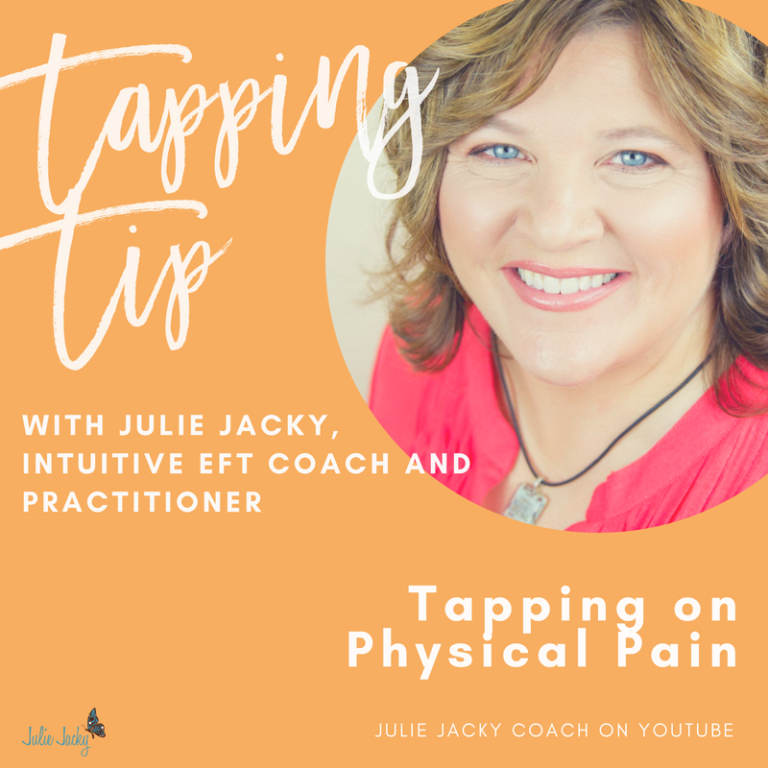 A big shout out to the best personal EFT Tapping guide around – Julie Jacky! The most powerful hour of my life. My heart is filled with love and gratitude. moved a mountain this morning, and ready for a couple days with my sisters! I loved our group tapping session with Julie. Because she kept it so simple, stepping into a new level of worthiness became the obvious and natural choice. I feel more courageous and more able to receive all the good opportunities coming to me. Thank you once again for your beautiful ways of helping me and others heal. You brought me to a point that I’ve been wanting for a month now and I love how you bring us to the sadness, let us sit with it for a minute, and then the feeling of gratitude and unconditional love was the best feeling in the world. I am always so grateful for you and your love and support! You are one of my favorite healers! Thanks so much Julie! I love how real you are and supportive of each individual journey! I learn more and more from you at each class! Be brave!!!!! Julie’s work totally supports being brave because she is someone who will be there with whatever crap arises and will bring you out the other side. Julie guided me through a really tough financial decision that helped me get on the right track with my money. I am grateful. Thank you Julie! I can’t even begin to tell you how grateful I am to you! Since I have met you my life has taken amazing energetic leaps and bounds and I cannot wait for more! The impact you have is immeasurable – you are a life changer! Thank you so incredibly much! Julie’s EFT/Tapping on Money & Income Limits Workshop was right on the money! And very enjoyable. Julie has an amazing intuition and compassionate guidance. The physical symptoms subsided shortly after our session. I had never experienced tapping prior to our session. Julie made me feel safe and able to express my emotions freely. She helped me unlock some stuck energy. I will definitely choose her to help me again. Thank you, Julie, for your kind support and rare talent! I had known about EFT for a long time but I felt you had an honest and safe energy about you so I was finally ready to do it. You have a very special gift so please keep sharing it with the world! Frankly, I am real. I have been there. I’ve experienced childhood sexual abuse, got divorced, and was a single mother for years. I’ve been deep in the cycle of debt. I’ve gone bankrupt – both financially and emotionally. I’ve felt lost, scared and confused. I’ve had my heart broken. I’ve been jealous of friends and family members that seemingly had much easier lives than me. I’ve felt shame and embarrassment. Despite all of that, I found a way out, completely turned everything around, and redesigned my life to one I love. Now I am able to guide you to find your way out, too. As a Coach, I am hands-on, kind, direct and compassionate. I help you take personal responsibility for your life. I offer real no-nonsense solutions, clarity and hope.